If you’re not sure where to get involved, one easy step is to contact us to meet with an Ambassador. During our one-to-one meeting, you tell us what you care about and how you want to make a difference. We match your goals and interests with the organization that’s right for you. 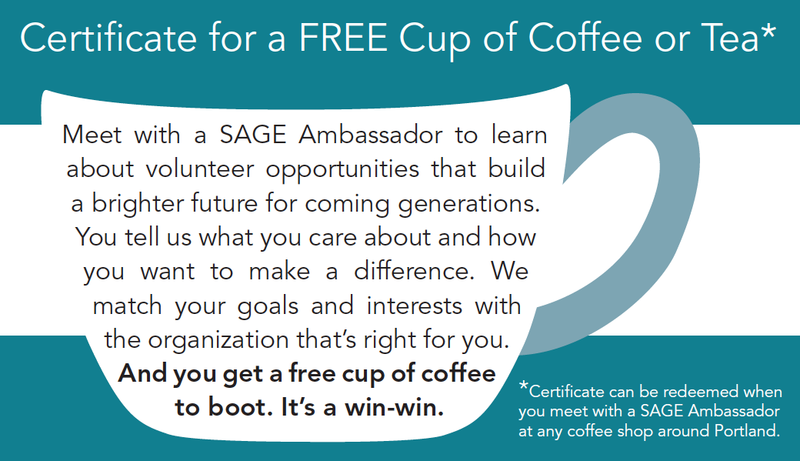 And you get a free cup of coffee to boot! It’s easy. Contact us to get started. Our informal conversations last up to an hour, and can take place at a coffee shop or other location near you, or on the phone. You share more about your experiences and interests, and we provide personalized advice to help you find a meaningful service or advocacy role. We are familiar with many opportunities with our 21+ nonprofit partners, and we also research and recommend more opportunities depending on your goals. 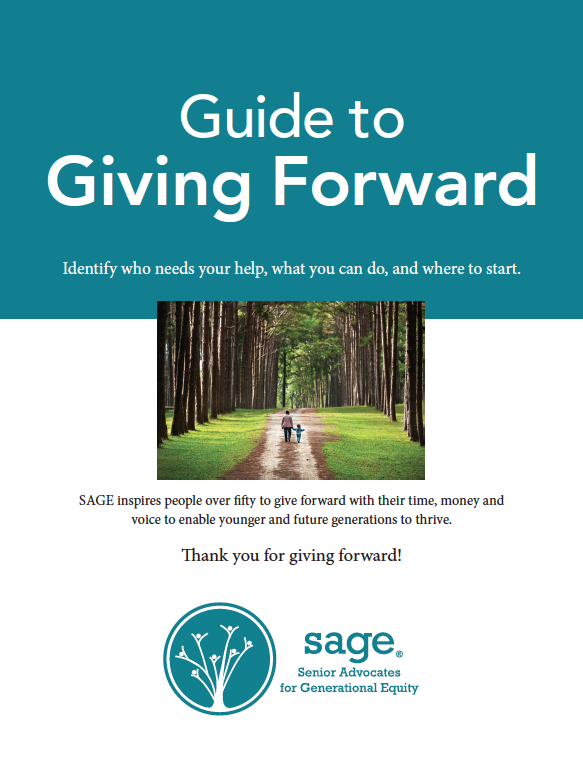 SAGE is familiar with give forward opportunities at all levels – local, state and federal. We are most familiar with organizations that work to strengthen education, restore the environment and promote economic security. There is no cost to meet with an Ambassador, and no pressure to engage. Our goal is to meet you where you are, and to help you find a great fit.